Navigate the site and if your curious about the sport come on out to the lake. We usually ride at "M&M Point" located on the eastern shore of Cheney Reservoir. Check the "Launches Page for further details. Come on out bring some beer and visit don't be shy. Check out the "links Page" if your interested in local instruction . 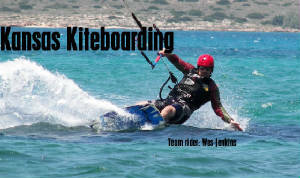 Join us on Facebook for kiteboard discussion.